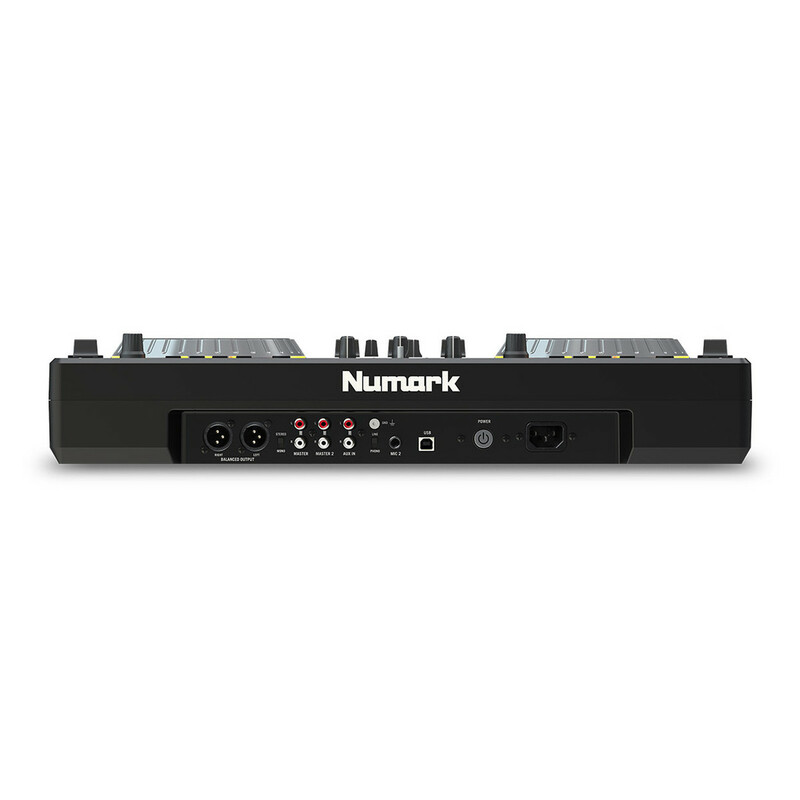 The Numark Mixdeck Express is a full-features DJ controller that enables you to play standalone through various media, plus connect a laptop for additional creativity and flexibility. 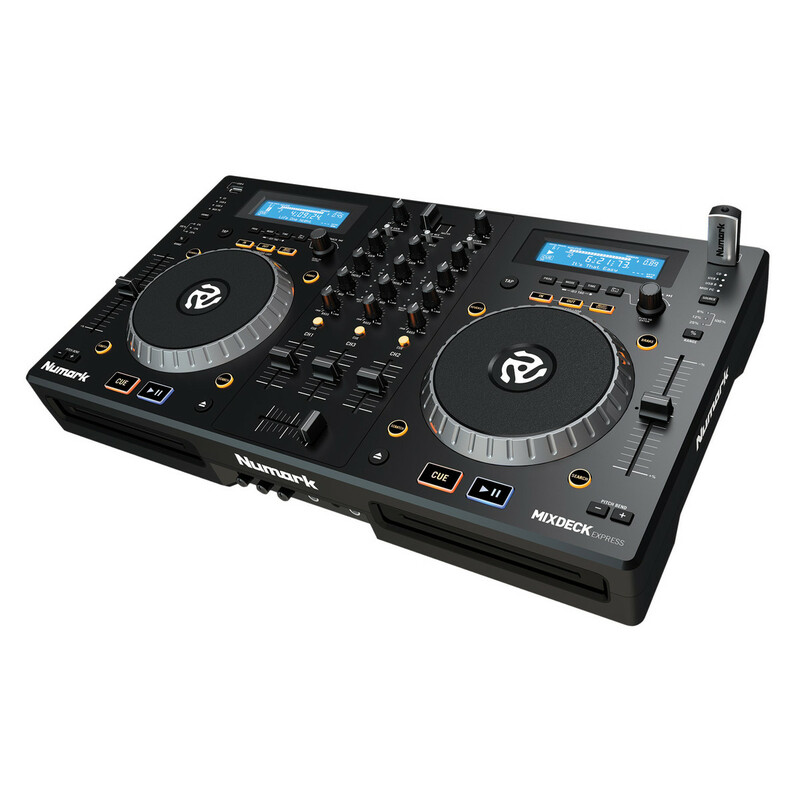 The Mixdeck Express boasts large touch-sensitive platters for mixing and scratching, a built-in mixer with three-channel EQ/rotary kills, replaceable crossfader, along with everything you need to connect a sound system. 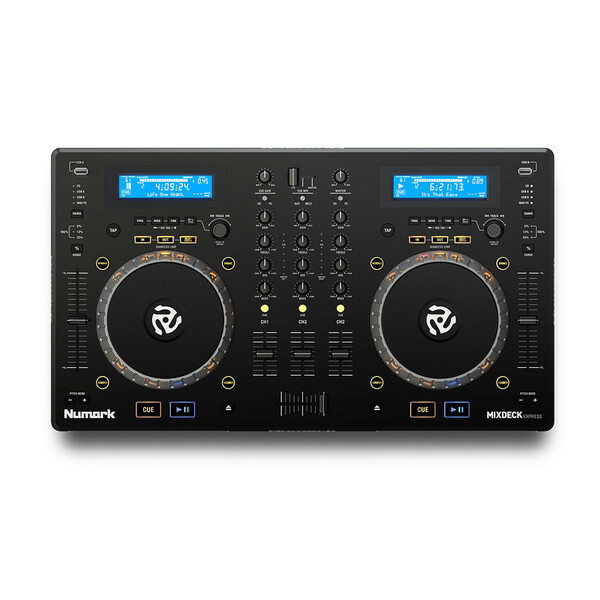 Offering comprehensive control and powerful flexibility, the Numark Mixdeck Express comes complete with two CD decks, dual USB flash drives and Serato DJ Intro software.